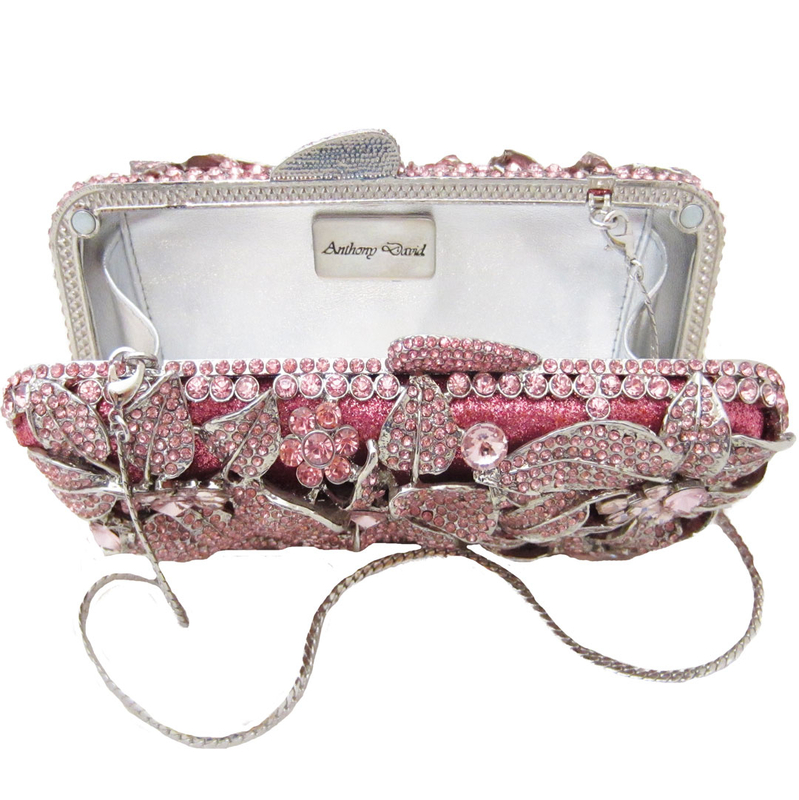 This Anthony David crystal evening bag has a silver metal frame with a floral design. 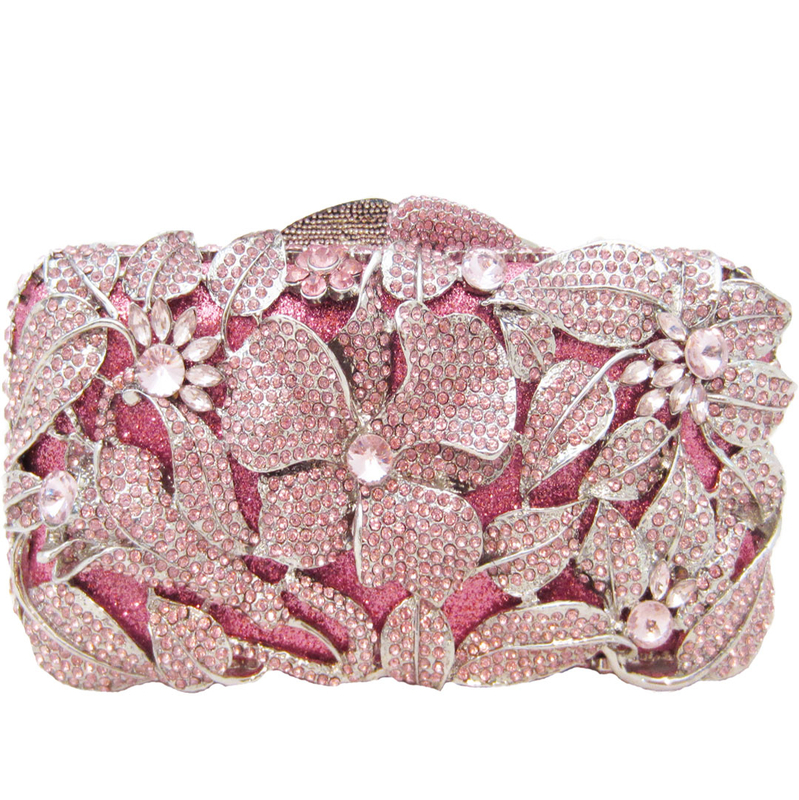 It is covered with pave set light pink crystals and has a pink fabric underlining. The cut-out floral crystal design is identical on both sides. The interior is lined in silver leather and you have the option of a short top handle chain which is removable. Fully covered with light pink crystals. Silver metal frame and chain. Short top handle chain included. Various sizes of crystals are used which give a multi-faceted sparkle. 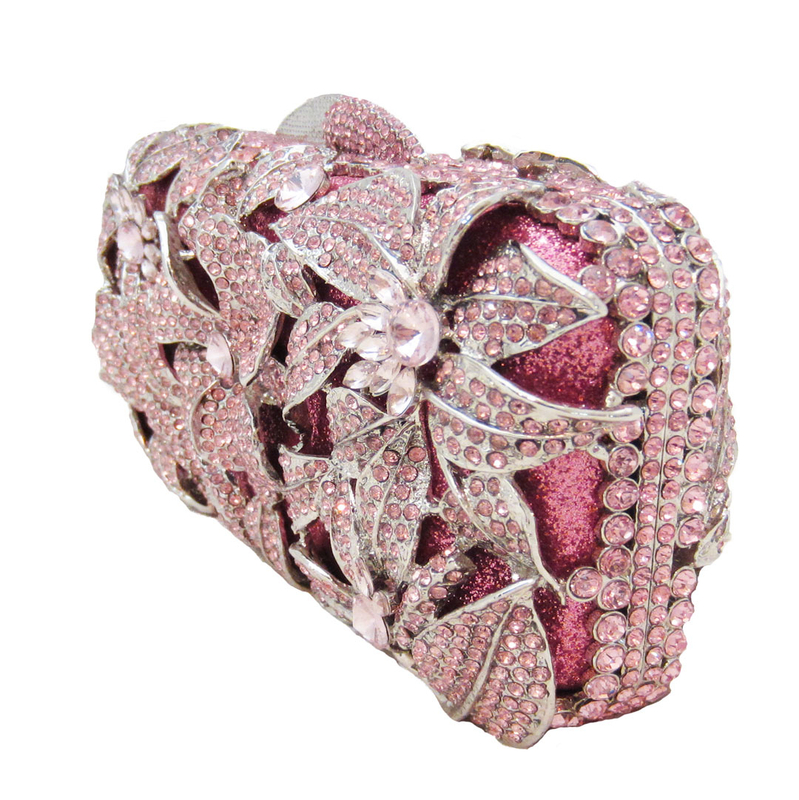 See all of our crystal evening bags in other shapes and colors.